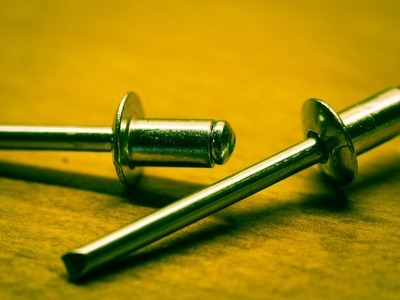 Not many homeowners know how to install rivet nuts, as a result of which very few would think of using this kind of fastener for their DIY home improvement projects. However, some DIY renovation projects will include installations that require the use of a rivet nut fastener. Apart from serving as a nut as well as a joint rivet, this mechanical blind fastening solution offers a strong, durable and reliable thread. Compared to almost every other tool available, your rivet nuts will be seated tighter if you use a rivet nut installation tool. 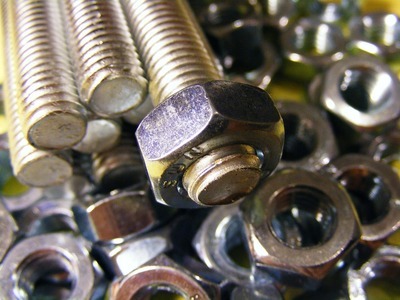 It’s also notable that rivet nuts have much greater loads than regular sheet metal screws. In addition to being the best solution, a rivet nut tool will make the work so much easier. For those who know how to use rivet nut tool, the installation process isn’t nearly as difficult as it might seem. According to Dafra, here are some easy tips to help you complete each of your rivet nut installation jobs within minutes. Inspecting the rivet nut installation tool and the mandrel thread is the first and most important step. Make sure they are all intact before you begin. You can jump to the third step if the rivet nut installation tool is already assembled. But if the tool is still unassembled, you must first retract the slide completely. You should be able to locate the stud once you’ve done this. Install the rivet nut finger into the stud, making sure it is tight. Install the stabilizing rod into the provided hole next, and then the rivet nut into the drilled hole. Tighten the slide screw, allowing it to move back up the ramp. Depending on the thickness of the material, the slide ought to be closed approximately 0-1/4 inch, setting the rivet nut. Once you’re done inspecting and assembling the tool, the next step is threading the rivet-nut into the mandrel. You can achieve this by turning the rivet clockwise until the nut’s flared head sits tightly against the bottom of the tool’s holding nut. Place a correctly sized socket, which will be used for the tool’s drawing nut, onto the ratchet. Remember, the wrench needs setting to fit the lower holding nut. The metal you are working on has a hole. Once you’ve obtained a suitably sized rivet nut, slide it into this hole and use the adjustable wrench to hold it in position. Place your socket on the drawing nut. Draw the rivet-nut towards the metal by turning the ratchet clockwise. As you do this, make sure you hold the adjustable wrench in place by exerting counter-clockwise pressure. Keep going until you screw the rivet-nut into the metal securely, locking it in place. When you’re done turning the ratchet, you can release pressure from the mandrel by reversing the ratchet's direction. You only need to turn the drawing nut counter-clockwise to remove the mandrel from the already installed rivet nut. To achieve this, you don’t need to use anything other than your bare hands. This is the last step of the rivet nut installation process. Once you’ve inserted a bolt into the rivet nut, tightening it is the only way to keep your river nut from spinning in the metal. Check to see whether you can turn the rivet nut. If you can, then you need to tighten it some more.